The 2 startups have chosen to work hand in hand to present the first platform including connected devices, home automation and Smart City data during the famous show. 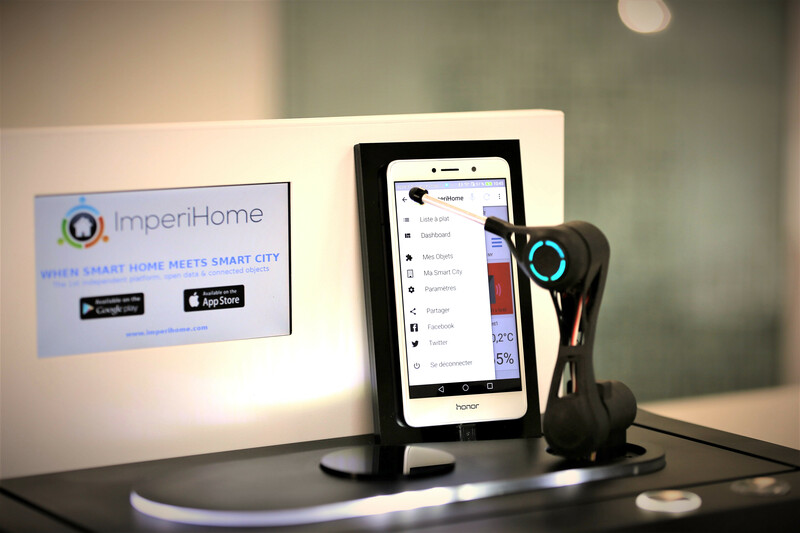 KiOne presented Imperihome application’s functionalities on Imperihome’s booth at the Eureka Park. Getting city air quality, checking city bike availability, activating a home alarm, closing the shutters, etc, all within this single application : KiOne had so many options to choose from. “KiOne managed to p resent easily the functionalities of the applicative part. KiOne energized the presentation.” mentionned Laurent Perez CEO of Imperihome/Ziblue. 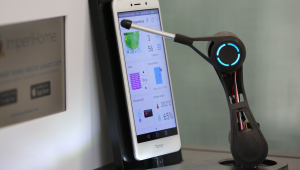 “During the CES, our robot became the friendly assistant of Imperihome team. The variety of features within the application provided a very interesting use case : KiOne showed the first part and the visitor continued on his/her phone.” mentionned Domitille Esnard-Domerego, CEO of Key Infuser. Previous PostPrevious Station F, we’re there ! Next PostNext Our Customer Experience recognized by Verizon at Vivatech.